A woman in Sweden has been charged with engaging in sexual activities with a human skeleton and could face jail time for disturbing the peace of the dead, a Swedish prosecutor said. 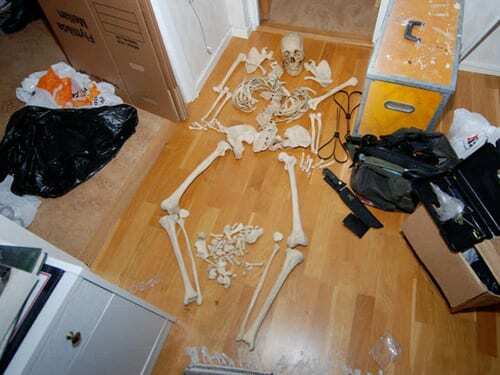 Police found a full human skeleton, skulls and a box containing other human bones by chance after responding to a call saying a shot had been fired from her flat in the city of Gothenburg. They also discovered CD-ROMs titled “my necrophilia” and “my first experience,” and photographs of the woman engaging in various sexual activities with a skeleton, a court document on the prosecutor’s website showed. This entry was posted on November 23rd 2012 at 3:52pm/15:52 and is filed under Live News Column 1, World News. You can follow any responses to this entry through the RSS 2.0 feed.